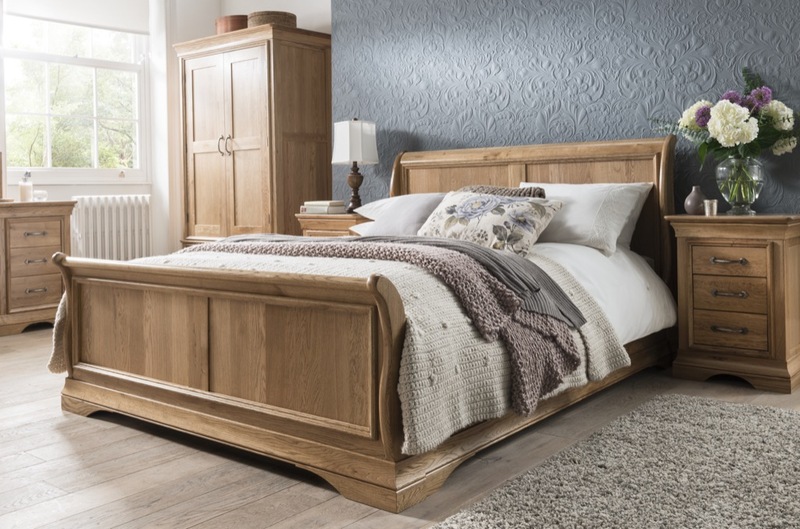 For a wonderfully comfortable night’s sleep, choose the Bordeaux Sleigh Bed, with an outward curving headboard and footboard. 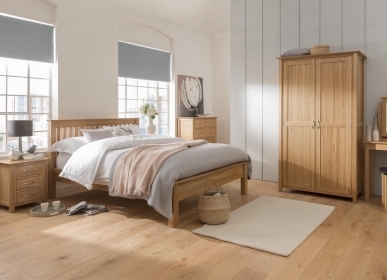 Hand crafted from pure American White Oak, with a warm lacquer finish, this bed would be the crowning glory in any sophisticated boudoir. Thanks to the traditional techniques used in construction, the bed is built to last a life time.